Looking to get started as a webmaster? 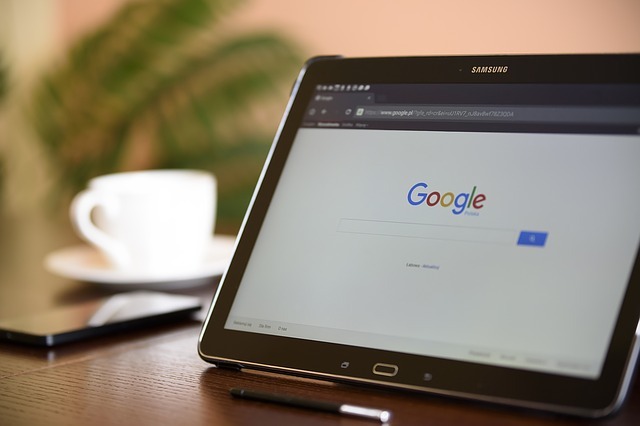 That’s awesome – but before you get too gung-ho, there are a few steps you should take to prepare, particularly where search engine optimization is concerned. See, the search will likely be the primary means by which new customers discover your business. If you aren’t engaging in SEO, you’re missing out on both traffic and potential conversions. Luckily, getting started isn’t all that difficult. In this series of blog posts, I’ll walk you through the entire process, from beginning to end. Let’s start with the very first steps you should take. Your first step is to set up Google Analytics, as it provides you with the most powerful tool in your arsenal as a webmaster: information. Not only can it help you figure out which pages and posts are ranking the best, it also offers a ton of data on keywords, region, and conversions. In short, if you aren’t already using it, you should start immediately. You can register for free through your existing Google Account, or set one up – from there, the setup process is fairly simple. Once you’ve got Google Analytics up and running, it’s time for the most important step. What is the intent of your website and who is the site targeted at? More importantly, what sorts of keywords and key-phrases are those people using to find the pages on your site? For each page, you should understand four things. Purpose. What is the page meant to do? Is it a blog post? Is it intended to promote a product or service your brand offers? A how-to guide? Every single page needs to have a purpose behind it – bar none. Intent. What do you want to achieve by posting this page? A how-to guide published by a business that sells tools, for example, might be published with the aim of bringing in customers who’ll purchase those tools after reading the guide. Audience. Who is your ideal customer? If you have trouble figuring it out, look at some of the demographics your competitors work with. Location. Where is your business located? Where are your customers located? Once you’ve got these three factors down, you can use a free keyword research tool to start brainstorming. Try to narrow it down to a few primary keywords. You don’t want to try targeting too many. You’ve doubtless heard the adage that content is king. On the modern web, a site lives and dies based on whether its content provides visitors with value. That can take many forms, of course – some websites might maintain a blog where they post fun, entertaining stuff, while others may chiefly focus on informative content. The most important thing is that you create that content based on your keyword and audience research. Everything on your site should be written and designed to appeal to your target user first, and search engines as a distant second. As part of that approach, I’d highly recommend creating a blog and brainstorming a content calendar for it. That calendar should, in broad strokes, establish the following. What type of content you’ll post. This could include videos, text articles, infographics, listicles, etc. How that content will be promoted – will you share it on your Facebook page or Twitter feed? How frequently you’ll post content. Will you create pieces weekly, bi-weekly, or once a month? Consistency is the most important aspect here, so bear that in mind. A list of topics for you to focus on. These don’t need to be anything too extensive or deep to start – potential headlines are fine; you can brainstorm articles around them for later. Obviously, there’s a bit more to search engine optimization than what I’ve detailed above. This guide is intended as a primer. Next time, we’ll go a bit more in-depth, and cover topics like meta titles, meta descriptions, tags, and more.